Bigger is Better | Spaceship! Spaceship! Spaceship! Sometimes you have to go big. At MacDonald’s for instance, when bragging about your manhood, or when building a LEGO spaceship. 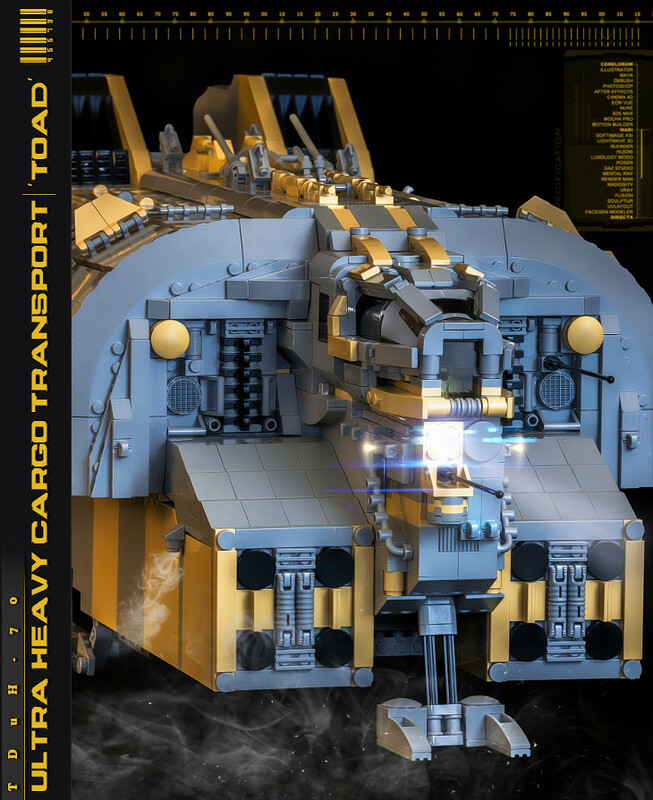 This model by Joe & Will Merzlak “Toad” is an Ultra Heavy Cargo Transport so suitably it’s nice and chunky with lots of room for, well, cargo.